Some of the most interesting music I hear these days is by female jazz singers. Often they project a deep appreciation of the jazz vocal tradition as well as a keen sense of how to take that tradition to new places. Far from seeming dated or stale, the best music in this genre sounds fresh and relevant while warranting a broader audience—and that’s particularly true of Chris Tordini’s Midnight Sun (which features Becca Stevens on vocals) and Hilary Gardner’s The Late Set. Many TAS readers are already familiar with Newvelle, an all-vinyl subscription-based audiophile label whose high production standards extend to the packaging, their gorgeous album covers themselves works of art. The fourth LP of six from the second year’s subscription is the first Newvelle release to extensively feature a female vocalist, and while the leader of the trio on Midnight Sun is bassist Chris Tordini, the singer he chose for the project, Becca Stevens, appears on all but one cut. (The guitarist on the session is Greg Ruggiero.) The group’s masterful reading of Ornette Coleman’s “What Reason Could I Give?” that opens the album slows down and strips away some of the layers heard on Ornette’s Science Fiction LP, and the vocals are higher in the mix, allowing the listener to hear much more clearly (and more fully absorb) some powerful and thought-provoking lyrics. This rendition is a thing of beauty, and the next track, Charles Mingus’ “Portrait,” is equally haunting. With faster tempos, “If I Should Lose You” and “Everything Happens to Me” are more extroverted fare, and they make for a nice change of pace. If, like me, you’re always up for another heart-wrenching and haunting take on “My Funny Valentine,” the version on Midnight Sun won’t disappoint. Through most of the record Stevens and Tordini are miced close enough that subtle details resonate while Ruggiero remains lower in the mix, which seems to suit his style of playing, as he seems more focused on adding color than being the center of attention. Midnight Sun boasts clean, intimate, and natural sound as well as some compelling performances. Recently much has been made of Cécile McLorin Salvant’s ability to unearth obscure titles from (for starters) the Great American Songbook and make listeners begin to appreciate how many hidden treasures have remained under the radar since the first half of the 20th century. Something similar is at work on Hilary Gardner’s The Late Set, an Anzic release. Gardner was one of the singers I singled out in my roundup of female jazz vocalists in Issue 249 of The Absolute Sound, and in Issue 253 Paul Seydor raved about Duchess, a vocal trio with Gardner in the roster. Together with pianist Ehud Asherie, whose clean phrasing and versatile technique provide ideal support, Gardner delves into two compositions by Dubin and Warren (“Shadow Waltz” and “Sweet and Slow”), two by Hart and Rogers (“A Ship Without A Sail” and “Everything I’ve Got”), one by Irving Berlin (“I Used to Be Color Blind”), a Harold Arlen-Truman Capote song entitled “I Never Has Seen Snow,” and other songs. Where McLorin’s latest album, Dreams and Daggers, tends to focus on the trials and tribulations of love, The Late Set is generally uplifting, quickly setting and then sustaining the late-night mood. 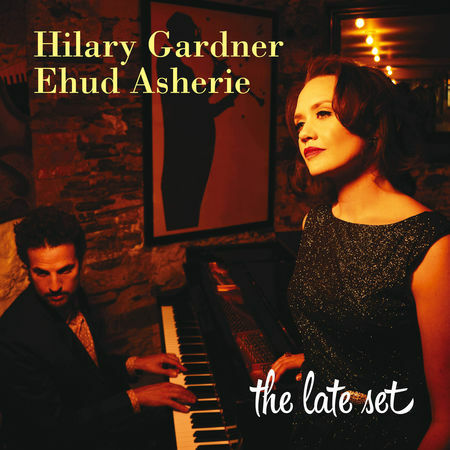 Gardner sings in a relaxed style that oozes romance while Asherie moves smoothly between different styles of jazz. It takes guts to record a record this sparse and straightforward, and Gardner and Asherie pull it off with panache.